The New Moon in Taurus is coming up this week, precisely on 6th May, allowing the rising of a new dawn within us. 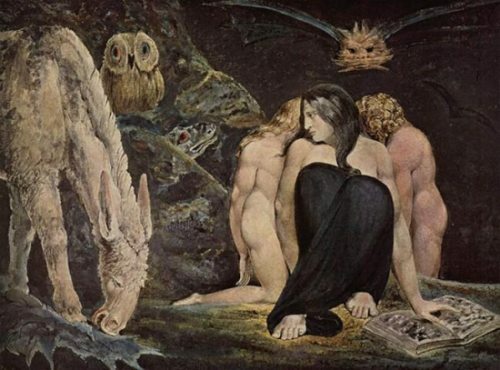 In the ancient times the New Moon was associated to Hecates, the Greek Goddess of crossroads and entrance-ways, the Mother of Angels and the Cosmic World Soul. For this reason the New Moon is related to the time just before birth, as it becomes dark like the earth to allow the new seed to rest in order to wait for the sprouting time of the Full Moon. She disappears so that the stars can be seen in the immensity of space. From the ancient times, the new moon was associated to death, as she was bringing omens, grieves, old scars up to consciousness in order to allow a great transformation. It is the time of the inner marriage between the silvery Personality and the golden Soul, between the Moon, who has to let go of the past patterns related to desires, needs and wants, in order to become receptive to the service to the Soul (Sun). 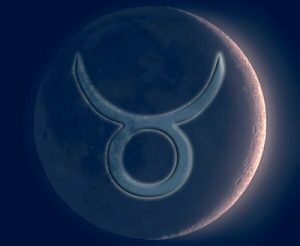 Traditionally the moon rules Cancer, which is the star sign associated to our karma, the attachments to things the way they are, as it carries the old patterns from previous incarnations; while, esoterically it rules Aquarius, completely reflecting the universal will and dissolving the sense of separation that we experience in our life. The Sun rules Leo, both from the exoterically and esoterically point of views, but the difference lies in the way this occurs. Leo rules the will, but while from the personality point of view, it is the will related to our intellect, personal needs and desires, from the soul view it is associated to the will of the Soul and the Greater Life. The Sun carries the energy of Ray 2, the Ray of Love/Wisdom, which refers to the will of unifying instead of separating. The fact that Venus and Mercury, which is now retrograde (activating issues in relation to our unresolved Karma in relationships), are conjunct to the Sun and the Moon, opens up a possibility of a inner union on many levels – Venus in fact, strengthens the joining together of the Higher and Lower mind (Mercury) through Love on a deep level. Not many of us know that in the ancient times, in the Greek language, there were five different words to express the concept of love in its different forms: Agape, Phileo, Thelo, Storge and Eros. Agape is the spiritual or universal love which elevates man and makes him understand that he does not possesses God but that he is possessed by Him; Phileo is the love between friends; Thelo is desire to do things that make us happy; Storge is the love that relates to the sense of belonging, like the love between a mother and a child; and Eros is the passionate physical love between lovers. The love that we mention here, and that is quoted 258 times (13/4 = letting go of our identity and trusting something Higher than us) in the Bible, and which Jesus referred to, is Agape. In loving our soul and our true essence we deeply forget about our intellect and our personality in order to serve the will of our Higher consciousness and fulfil our task/mission in life. This inner marriage is triggered by the Great Trine formed by Jupiter and Pluto, and the crossbow activated by Neptune. These three planets are brothers in mythology and they presided over the realms of Heaven, the earthly world, and the Underworld. In alchemy Jupiter stands for sulphur (the intermediate between body and soul) and air (our thinking), Neptune for mercury (the unifying principle of our conscious and unconscious) and water (emotions), and Pluto for salt (what holds the consistency of our bodily nature) and earth (physical situations or events). Neptune is related to the Soul in manifestation and therefore, he is the vehicle for the expression of the Higher consciousness, as he is the Incarnated Love. Because we find this planet in Pisces, at 11°39’, we are reminded that we need to transcend the resistance of the personality (thinking, emotions and physicality) in order to let go the intellectual illusions that keep us in prison. The theme here, associated to the Esoteric Tarot card La Force (Strength), which is aiming for the energy of Jupiter, opposite to Neptune, is “Let the force be with you” in the sense of being open to serve the unfolding of life as it is with unconditional love and acceptance, because this is the only energy that can join together the mind and the heart, which is Jupiter’s task. 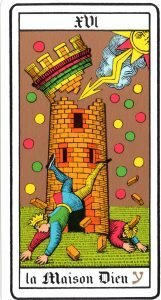 The Sun and the Moon at 16° are associated to the Esoteric Tarot card La Maison Dieu (The Tower) and it expresses the possibility of Spirit to enter in the heart of man and dissolving all the towers, beliefs, values and goals in life that our intellect has built until now. 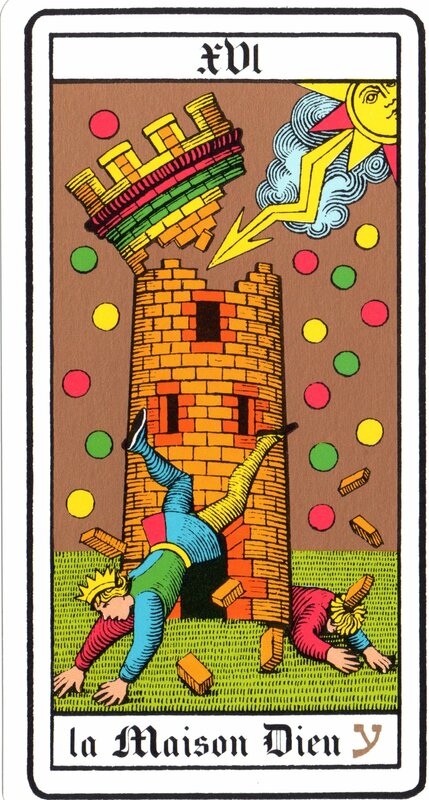 The Tower is mainly made of pride, that is the pride to think that we have control over anything. 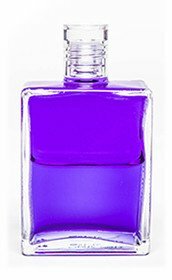 From the colour point of view, it relates to the Aura-Soma Equilibrium bottle 16, violet/violet, known as The Violet Robe. Violet talks about the opportunity of a deep transmutation not only of our thinking and feeling, but of our being through an intense alchemical process called metanoia, in which we go beyond the ordinary mental state to a place in us where we meet with God and accept what He is putting in front of us in order to become aligned to our Soul. Violet is the commitment to Spirit and Soul, as only if we allow Love to come through us, we can become a whole and integrate all the different aspects of the self. Violet hides anger and frustration (because red, the colour which violet is made of, is hidden in it), which could be triggered by Mars (associated to the Equilibrium B6, red/red, in the Aura-Soma system) squared to Neptune and Jupiter, but we need to remind ourselves that it is now the time to let go and open ourselves to the possibility of a new dawn and a rebirth. The keywords of this New Moon are Acceptance and Allowing, learning to trust the process and the unfoldment of Life as our best Teacher and Master.